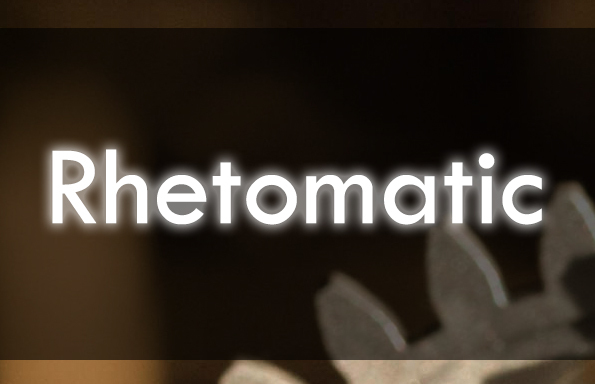 Meet Rhetomatic: a structured inquiry approach for introducing students to rhetorical analysis. Rhetomatic uses the concept attainment model to provide students with an opportunity to construct their own knowledge about key rhetorical concepts. 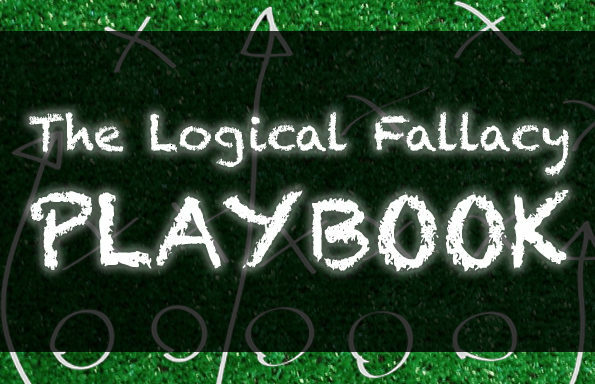 In short, this approach provides students with examples and unexamples of each concept, prompting students to explore their own definitions for the rhetorical devices being introduced. In giving students the opportunity to understand these terms in an inquiry-based fashion, they are given ownership of the concepts and learn them deeply, on their own terms. Grab it now for only $9.99! The Rhetomatic provides a structured inquiry approach for introducing students to rhetorical analysis. Rhetomatic uses the concept attainment model to provide students with an opportunity to construct their own knowledge about key rhetorical concepts. 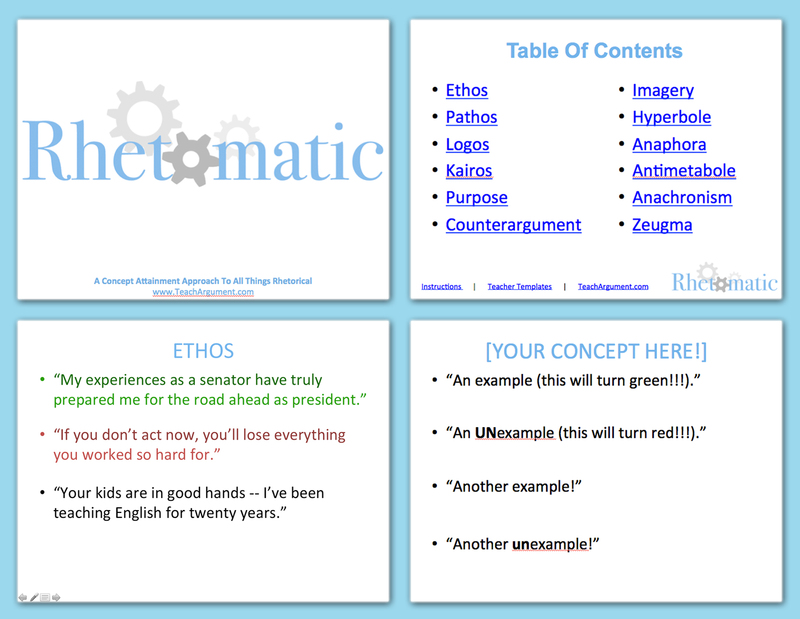 Rhetomatic is formatted as a Microsoft PowerPoint slideshow, and comes loaded with twelve key rhetorical concepts: ethos, pathos, logos, kairos, purpose, counterargument, imagery, hyperbole, anaphora, antimetabole, anachronism, and zeugma. Additionally, five pre-formatted teacher templates are included so that any concept can be easily integrated into the slideshow. 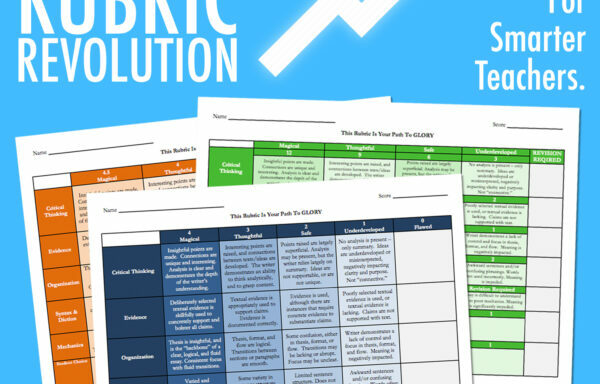 If you’re looking to maximize your students’ grasp of rhetorical analysis and/or deepen their understanding or key concepts, Rhetomatic’s structured-inquiry framework is precisely the thing you need. 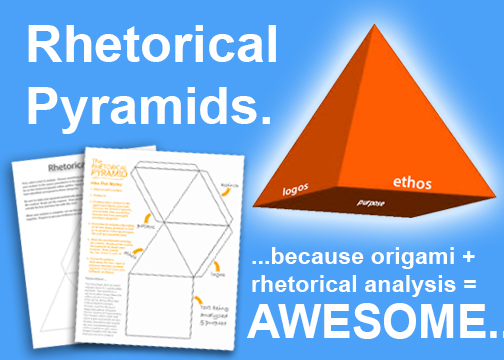 Teach rhetorical analysis with Rhetomatic now for only $9.99!